Widely Use for home and laboratory uses; Suitable for testing pH balance of drinking water, pools, aquariums, RO system, Spas, hydroponics food, wine and beer making and more. Wide Use: pH Meter is the ideal little tool for home and laboratory uses; Suitable for testing pH balance of drinking water, pools, aquariums, RO system, Spas, hydroponics food, wine and beer making and more. 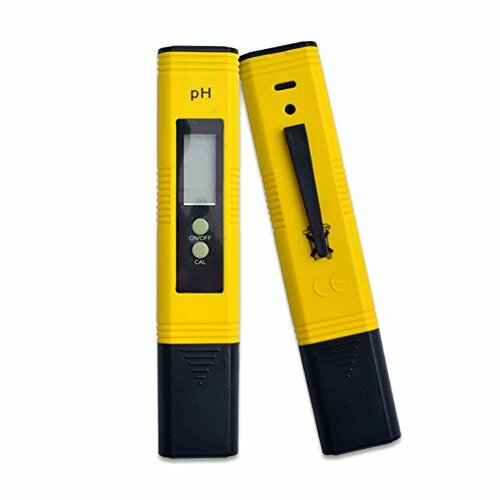 PH pen have AUTO CALIBRATION function, not need any kind of screwdrivers to calibrate the pH pen tester.TDS pen have Lock & auto shut off function. If you have any questions about this product by osierr6, contact us by completing and submitting the form below. If you are looking for a specif part number, please include it with your message.